Do you work in a noisy environment or use public transportation often? Ever wish you could shut out the world and just enjoy your music? Then I may have just what you need to do that. Today we’re looking at the iDeaUSA V205 wireless neckband headphones. The V205 has an IPX4 rating, meaning it’s splashproof and sweatproof. So it’s perfect for working out and running. Thanks to its active noise cancelling (ANC), it’s also great for noisy environments, such as on public transport or in a busy office. Bluetooth, ANC, great battery life and good audio quality. Does that sound like something you need? Read on to get the full details. At the time of writing, the iDeaUSA V205 is listed at $59. The V205 box comes with the standard iDeaUSA styling. First of all, there’s a dark grey cardboard sleeve with white text and green sides. On the front of the sleeve is an image of the earphones. On the back are some images of the earphones in use and a list of features. Removing the sleeve reveals a black box underneath. This black box has barn door style flaps that open outwards. On the inner side of these flaps are some more colour images; the left side has a picture of the earphones and neckband, with a list of buttons and components. The right side has a large image of the earphones being worn. So far the experience is that of a good quality unboxing. The box and accessories are all pretty nice, giving a solid first impression. But I know you’re here for the nitty gritty so here we go. A PU leather covered neckband forms the basis of the V205. The neckband is extremely flexible and it’s very lightweight. It sits around your neck like an open fronted collar. At the front end of the neckband, there is a solid plastic piece on both sides. High gloss black plastic runs over the top of these sections, while the sides have a matte black finish. The left side is where all the controls are, placed on the top side for easy access. There is a Track forward/Volume+, Multi-function and Track back/Volume- button. On the underside is where you’ll find the Active Noise Cancelling On/Off switch and the MicroUSB port for charging. The buttons have a tactile but silent click to them and are textured, so you can easily distinguish them by touch. Near the front of the neckband is where the two wires come out and connect with the individual left and right earphones. The rubberized wires are quite thin and very supple and for the most part, you won’t even notice them. As for the actual earphones, they’re very similar in shape to the 1More Triple Driver which many people should be familiar with. The shells are made from a glossy plastic, matching the top of the neckband. The front plate and nozzle revert to the matte black finish. Where the cable connects to the earphones is a rigid rubber strain relief which should do a good job of protecting the cable and prolonging the longevity of the earphones. With it’s true and tested ergonomics (popular shape), the V205 is comfortable as you might expect. With its rounded edges, smooth surface and angled nozzles, it fits into the ears very well. Add to that the low weight and supple cable and you have all the elements of a comfortable design. Because of the neckband’s extreme flexibility, it never sticks out in ways that annoy or disturb the wearer. And the soft PU leather cover takes care of the rest. You should be able to wear these easily for many hours nonstop, which is particularly good for long bus/train/plane rides. On their own, the earphones do not isolate very well. I can still clearly hear the television behind me when not playing any music. On my Android smartphone, the buttons work really well. You can press the + and – buttons to adjust volume, and a long press will skip tracks forward or back. Meanwhile, the multi-function button powers the unit on and off and can be used to answer or end phone calls. It’s a system familiar to most current wireless sets and should be familiar to anyone who has used or owned one before. Similar to other iDeaUSA Bluetooth products, there is a voice prompt to let you know when the unit is turning on, turning off, in pairing mode, or connected. Of course, with the provided MicroUSB to 3.5 mm Aux cable, you can also use the earphones plugged in. This is really handy for when your battery dies or you have a DAP or device that doesn’t have Bluetooth. That’s a cool feature. As I mentioned above, the passive noise isolation is not very good. However, when you switch the active noise cancelling on you’ll immediately appreciate just how well it works. For constant noise and in particular lower frequency sounds, the V205 does a fantastic job of cancelling external noise. Things like computer fans, air conditioners and engine noise are drastically reduced and almost completely removed. No longer is quality ANC reserved exclusively for more expensive products. The technology has become commonplace enough that the costs associated with implementing it have drastically reduced. Not only that, but the quality and effectiveness of ANC continue to improve over time. Pairing is super easy and very fast as well. I tested connectivity with my Android phone and with the Acoustic Research AR-M20 DAP. The range is great on these and I can pretty much move around anywhere inside my house without any dropouts of stuttering. Neither the box, manual or iDeaUSA website don’t specify which version of Bluetooth the V205 has, but my guess would be Bluetooth 4.0. It’s worth noting that these do not support the aptX codec so if you’re a real serious listener you’ll probably want to see what other options you have. 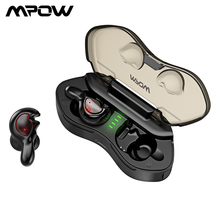 However, for most people, regular Bluetooth still sounds good enough, particularly for an earphone like this that is primarily designed for working out or running and not for critical listening. With active noise cancelling switched On the V205 battery is good for 15 hours of continuous playback. When the ANC is turned Off that time increases to 20 hours. That’s a pretty good length of time and is one of the advantages of the neckband system, which allows a larger battery to be fitted inside. The V205’s sound is fairly balanced; much more so than their full-sized headphones, which put a lot of emphasis on big bass. This earphone variant, however, doesn’t concentrate on any particular frequency. It has a more forward midrange and is better suited (IMO) for longer listening sessions. Probably my favourite thing about these headphones is the fact that turning on ANC has almost no impact on the sound. In fact, the difference with ANC On and Off is almost imperceptible. When you consider just how well the noise cancelling works, this is quite a feat. The bass has a good amount of weight to it, without being dominant like it tends to be on the brand’s full-sized headphones. It has a fairly linear bass, meaning it’s not boomy or bloated but finds a good level in the mix. It does lack some definition but not enough to be distracting or too detrimental to the overall experience. The V205’s midrange is fairly forward and not as recessed as it is on the company’s more bass-heavy models. Vocals have a good presence and are positioned slightly ahead of the listener which is nice; not too intimate, yet not too distant either. Clarity is only average but is not bad for something in this price range. I quite like the treble on the V205. It’s on the smoother side and doesn’t come across as harsh. There’s also no sibilance which I am particularly grateful for. One thing that surprised me about the treble is the natural decay on cymbals and hi-hats. This is the kind of treble that doesn’t get fatiguing over time. The soundstage is fairly narrow but has good depth. Vocals sit further back from the listener but do so without sounding too distant or diffused. Imaging is not particularly strong but neither is it bad. The quality decay on treble notes adds some air and a sense of space to the stage. So far I haven’t tested a headphone from iDeaUSA that didn’t leave me impressed. Their products generally offer really good value for money and great build quality. The V205 wireless neckband headphone might actually be my favourite of the ones I’ve tried so far. Similar to the other iDeaUSA headphones I’ve tested, the V205 is not for the serious audiophile but rather the casual listener who’s looking for wireless functionality and a wallet-friendly price tag. 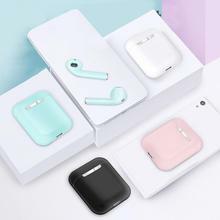 The Bluetooth connectivity is flawless and it comes with excellent battery life to boot. If you’re on the lookout for an inexpensive wireless headphone with active noise cancelling then the iDeaUSA wireless neckband headphone would be a solid choice. You can buy the iDeaUSA V205 from Amazon HERE.